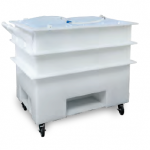 Plastic Concepts Inc’s Fume Hoods are constructed of 1/2″ thick white polypropylene, an extremely durable and non-corrosive, non-conductive thermo-plastic. 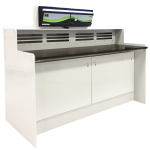 We manufacture our Fume Hoods at order placement and can custom design any Fume Hood to your specifications. 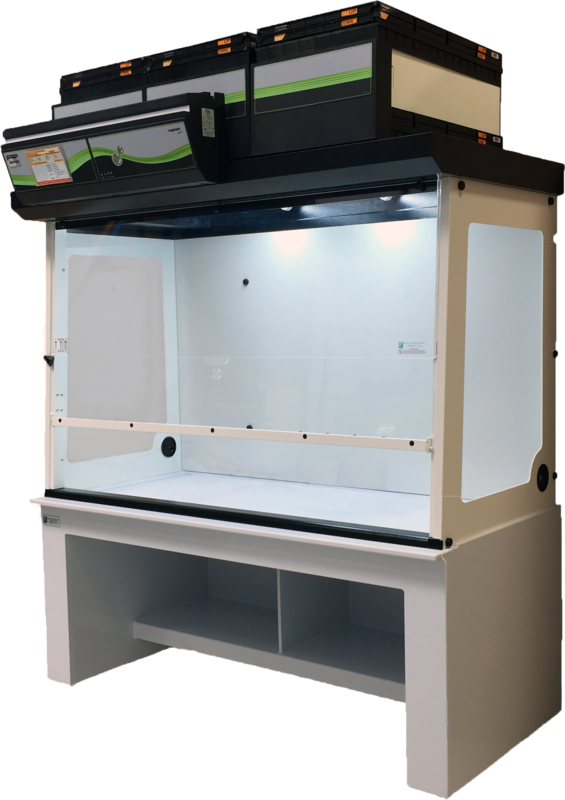 We have many fume hood types to choose from and can provide you with the best option to fit your needs and your budget. Laminar Flow Hoods: The airflow comes down and across and down the work area. This protects you and your work from contaminants. Clean Hoods: The airflow comes down and across and down the work area. This protects your work from contaminants. Standard Fume Hoods: Features sloped sides to avoid interrupted airflow patterns, a vertical sash, and a double wall. 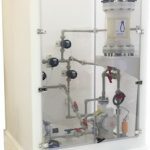 Filtered Fume Hoods: We offer Erlab’s state of the art filtration technology, which can be integrated into virtually any fume hood configuration. 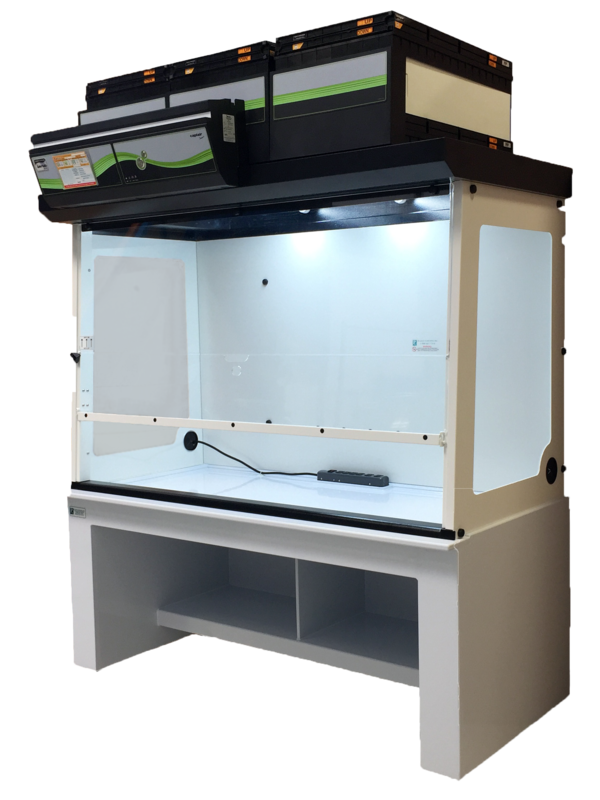 This provides complete flexibility in your lab, while providing an extremely cost effective alternative to traditional ducted fume hoods.